I do love a new shower gel or cream! I just seem to get very excited about them. The yummy mummy shower cream is a re design of the yummy mummy shower gel that was released as part of the 2015 Mother’s Day range. I personally prefer the shower creams that lush produce compared to the shower gels, so I’ve been very happy that more and more are being released lately. 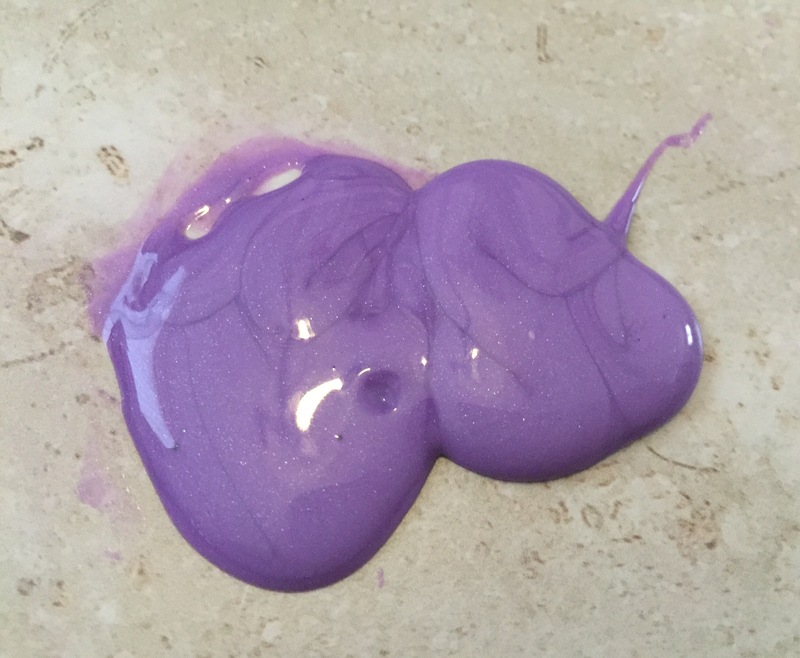 The yummy mummy shower cream, is such a beautiful purple colour with a stunning shimmer that runs throughout. It is also quite thick compared to the consistency of shower gels. I do also find that the shower creams don’t provides as much lather as the shower gels but I personally don’t mind this, as the shower creams tend to be a lot more moisturising and luxurious. I remember last year picking up a bottle of the yummy mummy shower cream and really not being a fan of the scent. however I’m not sure why, but I totally love the scent of the shower cream. I don’t know if this is just because my view on scents has changed or If there is a bit of a scent difference compared to its older version. Either way the yummy mummy shower cream has a wonderful mixture fruity and floral scent. There is defiantly a slight strawberry element to this product as well, however it is more of an artificial strawberry scent (but not unpleasant) rather than a very natural smelling strawberry scent. I also find that this shower cream has a slight creamy element to its scent. I do think that this may come from the cocoa butter that is included in its ingredients. Overall I think this is a beautiful shower cream, from its stunning colour to its sophisticated scent. I’m defiantly keeping my fingers crossed that this product comes back next year. Ingredients – Water, Sodium Laureth Sulfate, Sodium Cocoamphoacetate, Stearic Acid, Perfume, Propylene Glycol, Fair Trade Organic Cocoa Butter, Lauryl Betaine, Geranium Oil, Brazilian Orange Oil, Tonka Absolutee, Limonene, Linalool, Amyl Cinnamal,Benzyl Alcohol, Citral Snowflake Lustre, Colour 17200, Colour 45410, Colour 42090, Methylparaben, Propylparaben.